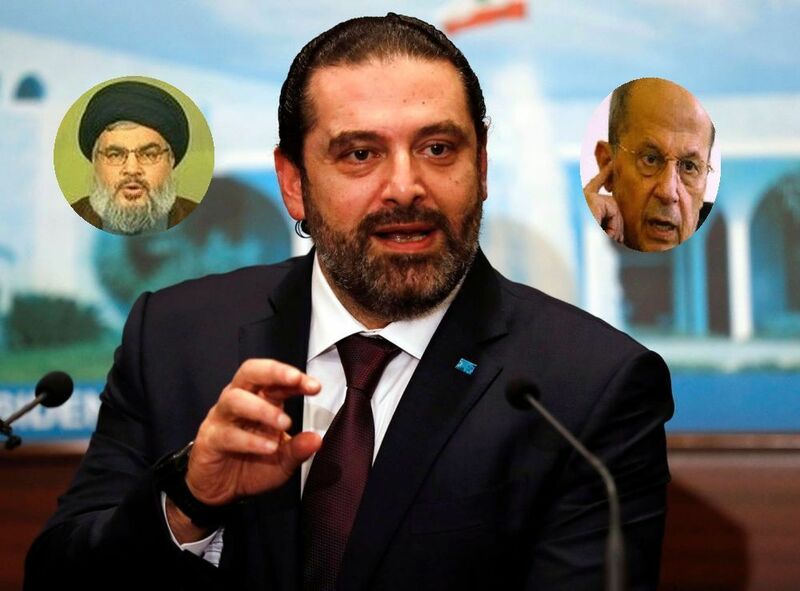 In presenting his lineup on Thursday, Jan. 31, the Sunni prime minister apologized to the Lebanon people for the long delay in forming a government. He omitted to mention that the World Bank had threatened to transfer to Jordan the $4bn loan allocated last year to Lebanon unless a government was set up in Beirut. He said only, “All the problems are known and the cause of the corruption and waste and administrative deficiency are also known,” and went on to promise “bold reforms” which remained unspecified. Neither did he refer to the breakdown of public services across the country, including medical care, water and power supplies and the garbage pilling up in the streets. But most glaringly, Prime Minister Hariri’s message to the nation failed to spell out who really ruled the country and into whose hands it had fallen. Israel’s Northern Shield operation for destroying Hizballah’s cross-border tunnels from Lebanon into Israel was one element in a masterplan devised by Prime Minister Binyamin Netanyahu with Washington to break up this formidable foursome. He presented the plan to US Secretary of State Mike Pompeo when they met in Brussels on Nov. 3. He explained that catching Hizballah red-handed for plotting an invasion of Israel was to have brought the Lebanese president and army chief under international pressure and, combined with Israel’s military operation, forced forced them to break ranks with Hizballah and deal with its dangerous tunnel project. Netanyahu further explained to Pompeo, that Hizballah’s weakened state after the destruction of its tunnels and legitimacy at home and abroad would substantially bolster the US-Israeli campaign for driving its master, Iran, out of Syria and the strengthen the impact of US sanctions on the Islamic regime in Tehran. Rising the bet to all in with only a pair of jacks? Hezbollah and foolish are now synonyms. Time to free Lebanon from it’s Saudi Israeli leash and their ridiculous politics. Dibs on Sasha Baron Kahane playing the Kings Torah scholar half of that vaudeville act! What is to protect from?? Hezbollah is only creating enemies and spending Lebanon public money on a useless warfare. You mean the antisemitic squatters have no limits for LOSING wars against Hizbollah. Remember 2006, when the land-grabbers announced their intent to steal everything south of the Litani. What happened? The cowards kill 1500 people from 35,000 feet but can’t get 6 inches into Lebanon without getting their BRAINS BASHED IN. The squatter army had to beg their benefactor to get a cease-fire at the UN. hezballah killed prime minister Hariri when he asked Siria occupation forces to leave. Now that Lebanon has has formed a government I hope that with Hezbollah front and center; that the US cutoff all foreign Aid. That would include Military and economic. Hezbollah is still on the US list of terrorist organizations and under US law no US funds are to be given any terrorists group. The squatter state can’t touch Hizbollah, no matter how much the armchair warriors of loud mouth rant and holler. That’s a shame.. Lebanon was a beautiful place at one time, but then the Muslims took over and ruined it. Muslims ruin everything they touch. Iran is morphing into a SUPERPOWER… One day you will wake up and they will announce they have joined the nuclear club. Superpower ? Iran’s economy is in tatters and young people hate the mullahs. Iran will be Persia again. Islamic rule is incompatible with freedom. Wherever there is Islamic rule there is he’ll on earth. See you cant trust the USA. No matter who is in charge they never punish the Arab race never. They always let them off the hook. That leaves the Soviets to fully support them. The 2 world superpowers colluding with the violent sons of Ishmael against the innovative sons of Jacob. Hezbollah is now officially Lebanon. Time for Lebanon to be destroyed once and for all. Now Hezbollah is in charge Lebanon became officially a terrorist state. Didn’t they learn anything from Gaza? This country will be isolated soon just as Iran, Syria, Gaza. Good luck for all that not voted for Hizballah. You probably will become stateless soon. The Lebanese army officially became a target now for Israel. This is a game changer. UNIFIL, get prepared for evac. Give it time Lebanon will be just another heap like Gaza, while Israel flourishes. Time is up, for everyone.